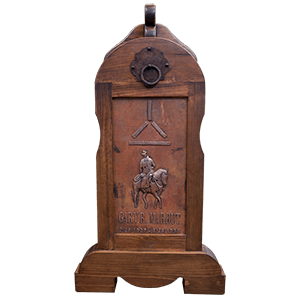 This handcrafted saddle stand provides you the opportunity to get your favorite saddle out of the tack room and into the house. 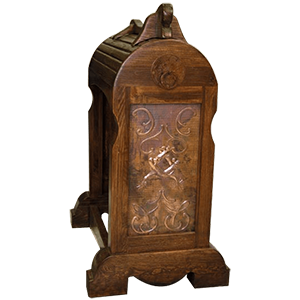 You can proudly display and care for your saddle on this beautiful, custom saddle stand. 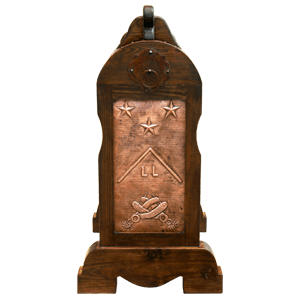 The front of the saddle stand is decorated with a hand hammered and hand tooled copper panel. 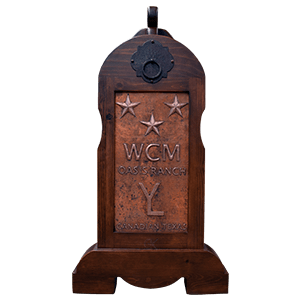 We can customize the hand hammered copper panel with hand tooled Western designs, or your ranch brand or initials can be hand hammered into the copper panel. 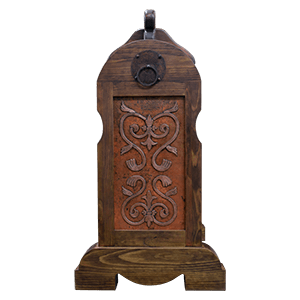 There are many examples of the hand tooled copper decorations that are available, or we can work with you in creating your own design. 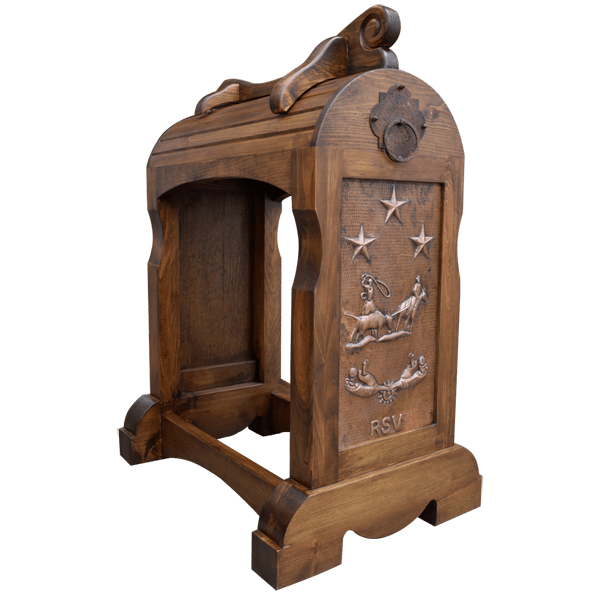 The majority of our saddle stands are decorated with hand forged iron accessories made by our skilled craftsmen, such as the hand forged iron ring on this saddle stand. This saddle stand is designed to resemble a horse’s backbone. 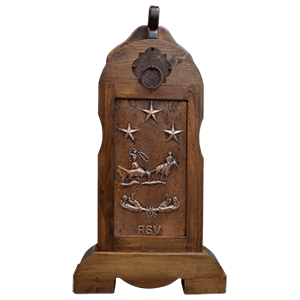 It does not matter how big your saddle is, it will sit perfectly on the saddle stand, and the saddle stand will not rollover. Made from solid timber, the saddle stand is guaranteed for life. It is 100% customizable.